Publisher: Thomas Nelson Publishers, Nashville, Tn. 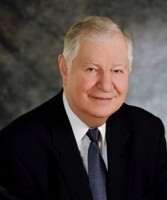 Dr. Henry T. Blackaby is the founder and President Emeritus of Blackaby Ministries International, an organization ‘built to help people experience God’. Dr. Blackaby was born in British Columbia. He has devoted his lifetime to ministry. He studied English and History at the University of British Columbia as an undergrad and earned his B.D. and Th. M. from Golden Gate Baptist Theological Seminary. He holds four honorary doctorate degrees! In 1970, Dr. Blackaby followed God’s call to pastor a tiny church in Saskatoon, Canada. That church, Faith Baptist Church grew, and led to the founding of thirty-eight new churches and became a pastoral training center. Dr. Blackaby went on to serve on staff at the North American Mission Board of the Southern Baptist Convention. He also served as special assistant to the presidents of the International Mission Board and LifeWay Christian Resources. Officially retired, he still provides consultative leadership in the Christian community. He has published many spiritually influential messages in his lifetime, most notably and my favorite: Experiencing God: Knowing and Doing the Will of God (1990) which has sold 7 million copies and has been translated into 45 languages. The other favorite of mine which I have also blogged about is Experiencing God Day-by-Day Devotional. Both of these books won the Gold Medallion Award. 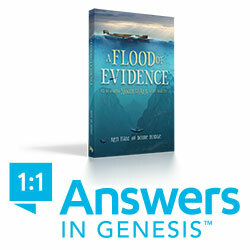 His works are very much sound in Biblical doctrine and very uplifting and yet convicting. Back on July 25, 2018 in reading my daily devotional from Experiencing God Day-by-Day by Dr. Blackaby, the devotional prompted me to study more in depth, Isaiah 35:1-10 where Isaiah talks about the ‘Highway of Holiness’. This prompted me to write a blog about it https://standingfirmproducts.com/a-highway-of-holiness-what-is-it and to order this book by Dr. Blackaby, entitled Holiness….. 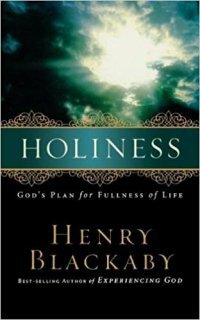 In this book, Blackaby addresses the need for accountability to God’s word, for seeing sin from God’s perspective, and for directing our lives back to Him, at every level! God urgently wants His people to be holy–only then can you experience God’s plan for fullness in your life. The book is an easy read. It is only 106 pages long with only three chapters and an introduction. In the introduction, Dr. Blackaby shares a bit about his childhood and his father’s strong call of God on his father and his life as he held true to his personal holiness. As a young man his life and message were shaped, as was his father’s, with deep conviction of the return of the Lord and its accompanying accountability. He was greatly influenced by Oswald Chambers and Duncan Campbell. Dr. Blackaby, trembled before God as he realized God’s people no longer feared God nor sin, and no longer sought holiness! (This was in the 1960’s, imagine how he feels today!) He prayered fervently and faithfully proclaimed God’s Word and Truths to His people. Many were saved and many new churches created over the years of His faithful service. This chapter is very, very convicting. Dr. Blackaby talks about revival and the fact that revival is for the believers who have slipped away. You can’t revive what never had life. In other words, those who are lost, must first be saved. Revival is for those who had it and have let it go. We do need REVIVAL for all of the believers who are living in sin and have no fear of God. No fear of sin. They believe because they once believed that they are saved and they don’t have a clue of what is going to happen to them on judgment day. God does judge some while here on the earth. Just take a look at your family and what is happening in families that were once God-fearing, Bible believing families! If revival in American depended on your prayer life would there be a revival? Are you praying, are you praying with your family, with your friends, your church? In your church alone, there are enough of God’s people, if they were serious with God, they could turn the course of our nation! One definition of sin in 1 John 3:4 is that sin is lawlessness (or rebellion). Rebellion is when one knows what God says and chooses not to obey. James 4:17 says Therefore, to him who knows to do good and does not do it, to him it is sin. These are just a few of the many verses in Scripture which tells us what sin looks like from God’s perspective. Blackaby makes a very strong case explaing how we cannot ignore what Scripture says. God has given us His Word and told us what sin looks like and how it grieves Him and He hates sin. We must deal with our sin immediately. I will leave my summary of Chapter two at this spot. You MUST read this book and read the rest of what Dr. Blackaby has to say about Looking at Sin from God’s perspective. It is all about Him! It is not about us. We are here for His purpose, not ours! And it shall be called the Highway of Holiness. But it shall be for others. It shall not be found there. Dr. Blackaby refers to a Revival in Brownwood, Texas in 1996 and where many people felt the presence of God and were convicted of their past sins and came forward to repent and confess their sins. He talks about the message he was hearing from God during that four day event. He heard from God that if sin is not exposed when we preach that there is something wrong with our lives in their holiness. The Scripture says that when God builds a highway, it is a highway of holiness! The highway of holiness is something that God creates, but when God creates a highway of holiness, it exposes sin like a refiner’s fire! Scripture says if we meet the condition of holiness in our lives, He will bless us. We must come to Him with clean hearts. We must confess our sin and repent. A pastor who preaches a message to a congregation with unrepented sin will not see fruit and neither will an individual receive answered prayer when they come to Him with unconfessed sin and without a repentant heart. This chapter is so strong. I will not go further except to say that the Word of God is truly spoken in this short book. It is so convicting and powerful, I pray that you will purchase this book and sit down and read it asap! I highly recommend this book and all of Dr. Henry T. Blackaby’s books and those of others in his ministry. You may click here to take you to Amazon or click here to go to Christianbook.com where you may purchase this book or others of Dr. Blackaby if you feel called to do so. Please enter your comments below about this blog. We welcome your feedback. Please note if you leave comments you are giving your approval for us to store your contact info for future communications. We do not share your info with any third parties. 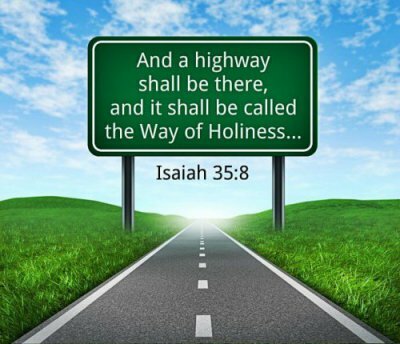 A Highway of Holiness – What is it?